Triglycerides are a form of fat your body uses as energy to help in cellular metabolism.If your triglyceride level is above 150 mg/dL, it can lead to atherosclerosis, which is hardening of the walls of the artery with plaques that can cause stokes, heart attacks, and peripheral vascular disease. Elevated triglyceride levels can be seen in kidney diseases, obesity, or metabolic syndrome, but when you mix triglycerides and alcohol, you can get elevated triglyceride levels, even in the absence of other diseases. How Can Alcohol Increase Triglycerides Level? Alcohol involves the consumption of excess calories your body metabolizes as a nutrient. No digestion is involved in the uptake of alcohol, which goes straight to the live for processing. This diverts the liver function away from metabolizing fatty acids and the liver, instead, processes the alcohol. Thus, the amount of triglycerides in the liver increase, resulting in an increase in serum triglyceride level. The drinking of alcohol alters the basic structure of liver cells, so they don’t process fats the way they are supposed to. Instead, the triglyceride level rises within the liver, contributing to the typical fatty liver disease seen in those who drink too much alcohol. Those who drink alcohol also typically snack on junk food that contains triglycerides. These snacking food like potato chips, nachos, pizza, beer nuts, and other foods are usually high in triglycerides.The extra calories in these foods get turned into excess calories that become triglycerides in the bloodstream. So you see that triglycerides and alcohol are closely connected. Those who drink alcohol of any type have an increased risk of elevated triglyceride level, regardless of the type of alcohol they choose to drink. But, What About Red Wine? Many people conclude that drinking red wine does not raise triglyceride levels and it is, instead, a heart healthy beverage to drink.While it is true that red wine contains the same antioxidants as grapes, such as resveratrol, it also contains a lot of calories that serve to increase triglyceride levels in the bodyand are processed in the same way in your liver.Red wine can affect the liver’s metabolism of triglycerides just like a shot of hard liquor can. 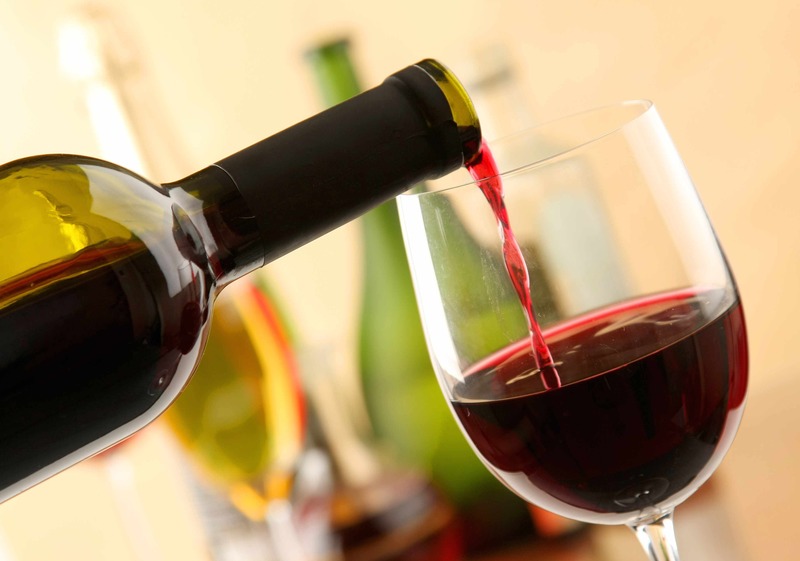 Most experts believe, however, that if you drink a single glass of red wine along with a low calorie diet that is rich in nutrients, there may be some health-related benefits to your heart.There is research evidence to suggest that red wine in modest amounts are heart healthy; however, many of these studies have been done on laboratory animals and not on humans. Triglycerides and alcohol are not the only two things that interact badly with one another. There are several other bad habits that can raise triglyceride levels and result in an increased risk of heart disease. The drinking of sweet tea, soda, and fruit juices. These items contain sucrose and/or fructose which add calories to your diet and these calories raise cholesterol levels. Instead, you should drink sugar-free beverages, including water with a twist of lemon or lime. The eating of low fiber rice, pasta, or flour. These carbohydrates are quickly processed into glucose and extra calories, which can raise triglyceride levels. Whole grains are better for you because they have fiber that keeps the calories in the gut and are not digested. The eating of red meat. Red meat, as well as butter and cheese, contain saturated fats which boost the triglyceride levels in your bloodstream. A better choice is turkey or chicken that contains less saturated fat or vegetarian meals that don’t contain much fat at all. Consuming fried fish. While fish is good for you, frying it in oil is not. Oil-fried fish contains saturated fats that raise triglyceride levels. Instead, you should eat fish high in omega-3 fatty acids that lower triglyceride levels. They should be baked or broiled instead of fried. Eating too much. If you eat too much, it is no different than the effect of triglycerides and alcohol. Excess calories are added to the diet, which raise the triglyceride levels. Rather than eat a whole restaurant meal, cut the portion in half and save the rest for next meal. You don’t need all those calories. Skipping meals. If you skip healthy meals, you tend to get extra hungry between meals so that you will snack on just about anything. This can mean eating high fat foods that raise your triglyceride levels. Rather than skip a meal, eat three sensible meals a day using recommended servings. Eat healthy snacks instead of things like chips and cookies. Choosing to stay immobile. If you do not exercise, your body will hold onto the calories you eat and this will raise triglyceride levels. Try to move around more every day so that the calories get burned and do not turn into triglycerides. Smoking. Smoking and high triglycerides are a bad mix. Together, they raise your risk of heart disease and both are bad for your overall health. You should quit smoking in any way you can or never start smoking so that your heart can be healthy. Should I Stop Taking Statins?